STEP #4: Invite all your friends to watch! ​When you login to Zoom for the Mic, make sure you've seen when the start time is, otherwise you'll be sitting in a video-chat alone. 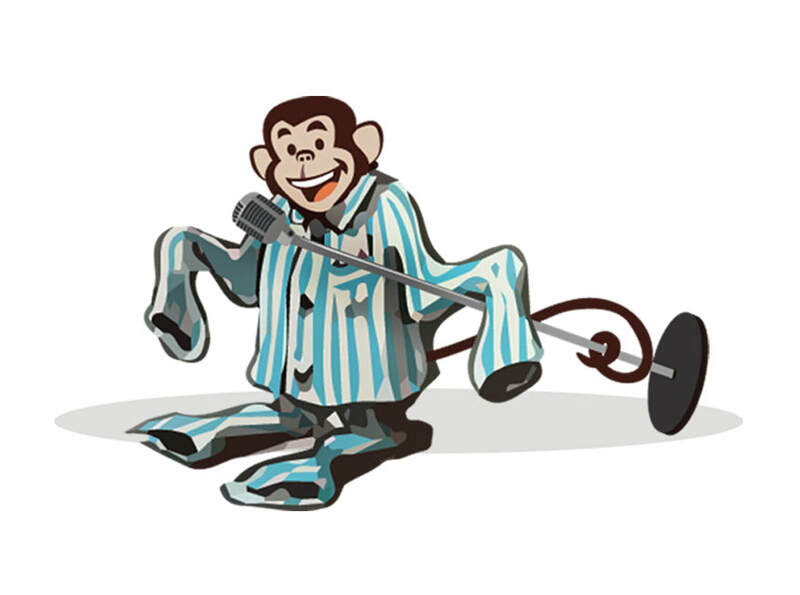 Punchlines in Pajamas is an online, virtual, stand-up comedy open mic. It's hosted on a video conferencing app. This app makes it just like all of us being in the same room! Below are the fun facts, and rules about the open-mic and information on how to sign up. PHOTO FROM THE LAST MIC! Rule #2: All rules subject to change. The rest of the rules don't need to be numbered, but here are the basic guidelines we will follow. The first five comics (who have never performed before at our open-mic) to sign up using our official form described below will get spots. In the event there are not five NEW comics who sign up, then order of the sign-up will fill the remaining of the five slots. 7 slots will be randomly chosen from the sign-up names live on the video chat, lottery style out of a hat. If you sign-up, you will be expected to attend and watch for one full hour. So if you were to sign-on 20 minutes late, you would watch from that moment for 60 minutes. If you sign on at the beginning you will watch for 60 minutes from then. No one is expected to remain for the duration of the entire open mic if it runs longer than an hour, but we encourage you all to support each other so the mic will be amazing! The host will keep the timer. During each set, the CHAT WINDOW will be available to type tag ideas, or general comments. Recordings of the sets are easy to make with the Zoom app you will download. You are only allowed to post your SETS if you record the chat. Posting other comic's sets will get you banned from performing. Anyone watching, even if not performing, will be able to submit CHAT feedback on the jokes. No one is allowed to record the mic if spectating. We recommend using your computer as opposed to your phone just for convenience. **If you sign up, perform, then jump out of the video chat without watching the rest of the comics, this will count against you in the future in terms of your ability to continue to perform at the Punchlines in Pajamas Open Mic. ***Content will be clean. If you push too far the host will mute your mic and video and move to the next performer and you will not be asked back for at least four mics. If you are a comic who doesn't work clean, and you attempt a clean set and shank a word or two, we will be gracious if the mistake is obvious. We will do one of these per week. At first, we will try to do them on the same night each week, but schedules may change. If you have trouble viewing the form below, click here to load the form in an entirely new window. ATTENTION : Sign-Ups are always on-going. 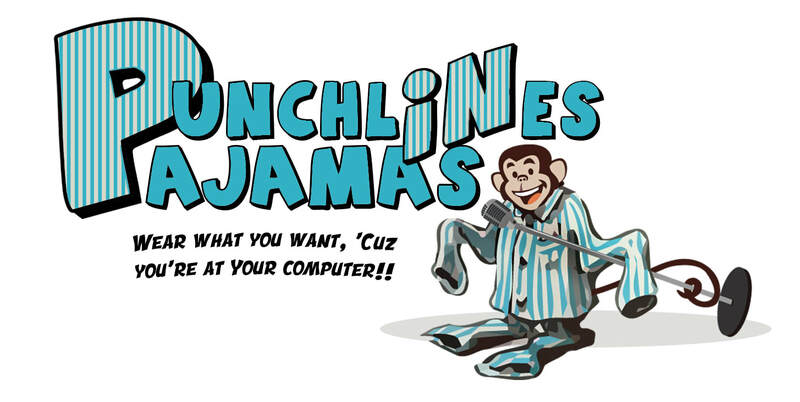 You can sign-up at any time and that sign-up will be for the following Punchlines in Pajamas! THE FACEBOOK PAGE will have the most up to date information about what time the open mic starts. Please check there. If you sign on and it appears the meeting hasn't started yet, wait a few minutes and also check social media page as the time may have changed. Once you are signed up to perform, you can use the button below to join the actual video-chat! WANT TO BE IN THE AUDIENCE? If you want to watch the open-mic that is totally great! We'd love to have "more audience" in the crowd!! Here is the link to the video chat where the mic will be hosted. Then, once you are viewing the live video chat, you just won't be asked to perform unless you've signed up! **If the night is fun and laid back, you may be able to even tell one joke or two as an audience member! But if the night is packed, this option may not be presented to you. You can always say no if asked, and there won't be any pressure on you to perform.